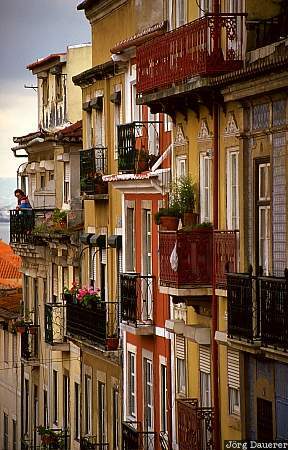 Houses along a street in the Alfama in Lisbon, the capital of Portugal. The river Tejo can be seen in the background. This photo was taken with a 200mm lens on a sunny day in May of 2000.